Daphnis et Chloé: Ballet en un Acte de Michel Fokine, musique de Maurice Ravel. [i-viii], 1–308, A-G (appendice apres la page 95) Partition d'orchestre, format de poche (octavo-size pocket score). This edition copyright 1913 but printed in 1949. Plate number D. & Cie 8920. "W. Guidez, Gr., Avril 1949 Imp. a A. Mounot, Paris." Black cloth with gold stamping on spine, light wear. he pages, in general, are still supple, but are beginning to oxidize and there is brittleness near the edges. With the signature of composer Burt Levy (1936–2010) on the front pastedown. In preliminaries: principal dancers (Karsavina, Nijinsky, et al. ), Chef d'Orchestre () M. Pierre Monteaux, Mise en Scene (), M. Michel de Fokine, and Decors et Costumes, (M. Leon Bakst) listed for first performance at the Theatre du Chatelet Saison Russe organized by M. Serge de Diaghilew [Diaghilev] (8 Juin 1912); nomenclature des instruments. 172 pp. Folio, 10.5 X 13'', full score. Plate B & H 16236. Printed in England. Revised 1947 version. Copyright assigned in 1947 to Boosey, new version (c)1948. Errata list taped artlessly with masking tape to front pastedown. Marks in red and blue pencil by previous owner, a professional conductor. 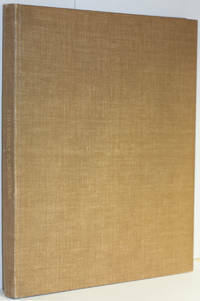 Brown linen with gilt-lettered spine, with some rubbing at edges and top and bottom of spine, gilt spine title a bit dull. A slight tilt to spine. De Lerma saw only the pocket score (P16).